Some interesting research has been carried out on behalf of Direct Line Car Insurance into the number of motorists that would appear to be not disclosing to either the DVLA or their motor insurance provider that they have a serious medical condition. It appears that there could be an alarming number of people that are breaking the law by not taking this action. 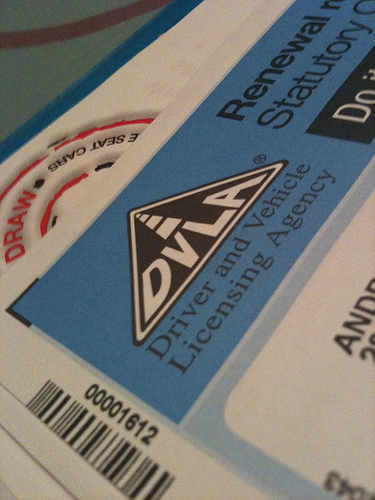 The DVLA and your car insurance company will need to be informed if you have one or more certain medical conditions. There are certain medical conditions that could lead to a motorist being not allowed to drive a motor vehicle such as being seriously visually impaired. If a motorist has a serious medical condition then he or she is legally obliged to inform both their car insurance provider and the DVLA. Failing to do so could lead to he or she being prosecuted, being fined up to £1,000, finding that their car insurance policy may not pay out in the event of a claim and could lead to them being responsible for a serious road traffic accident. The research discovered that 24% of motorists in the UK have medical conditions that they should have made the above aware of but as many as 9% are believed not to have told the DVLA about. It was found that 28% of older drivers had the likes of heart conditions, visual impairments, epilepsy and diabetes that they should have told the DVLA about but 49% of those motorists did not bother to inform the DVLA. So, why did they not tell the DVLA? Well, 57% of drivers were of the opinion that their medical condition did not make any difference to how they drove their vehicles. Interestingly, 12% did not realiise that they were under any obligation to notify the DVLA or their car insurer. Let us hope that more people come forward and make the DVLA and their car insurer aware should they have a medical condition that warrants this course of action. The DVLA can be contacted for guidance in this respect and you could also look on the website of www. gov.uk. You may also wish to speak with your GP. This entry was posted in News and tagged car insurance, Car Insurance and Serious Medical Conditions, Direct line Car insurance, DVLA. Bookmark the permalink.